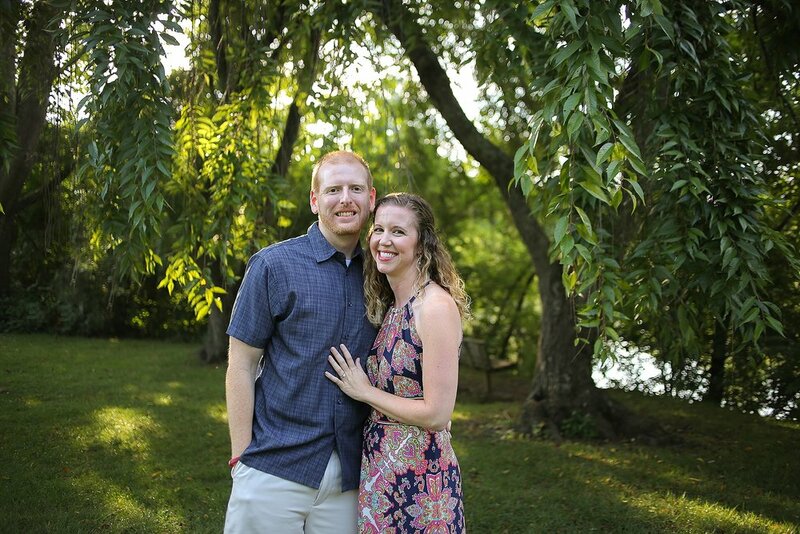 Lauren and Eli are alumni of Virginia Tech who are now living in Colorado. 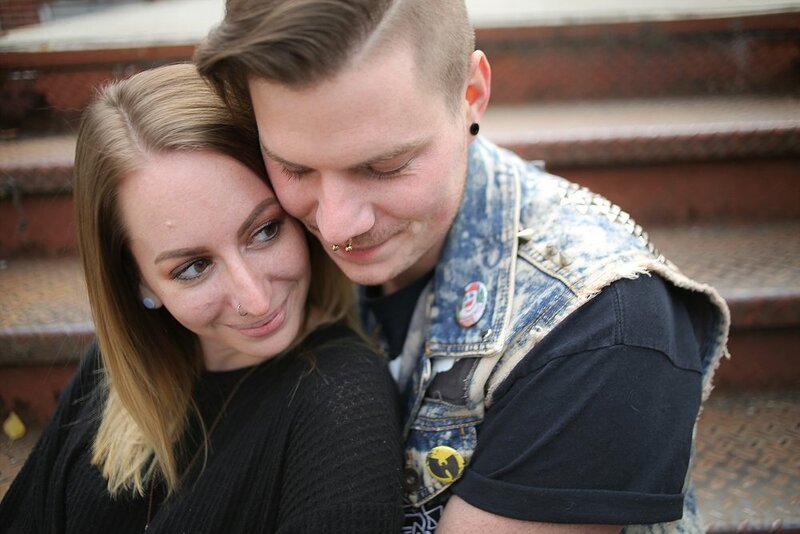 They met when they were students, both working at Virginia Tech Union. 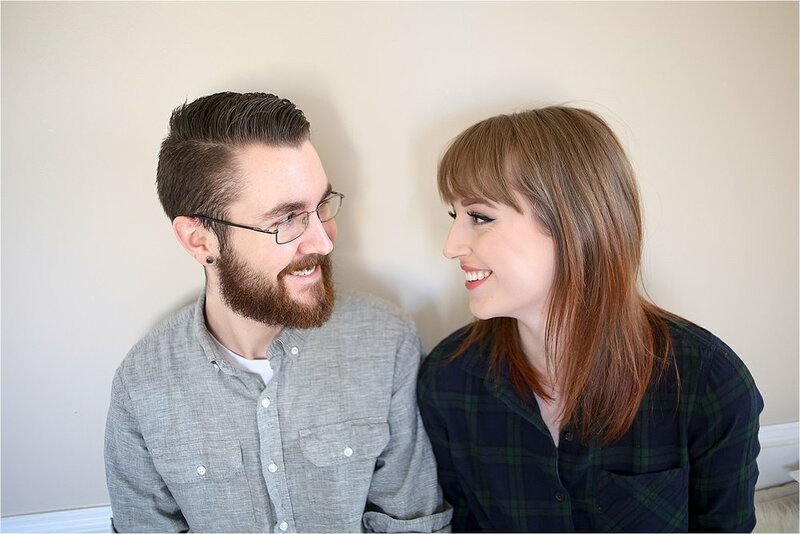 Eli oversaw smaller, indie concerts and Lauren was his assistant [though they didn’t really connect until a couple of years later]. 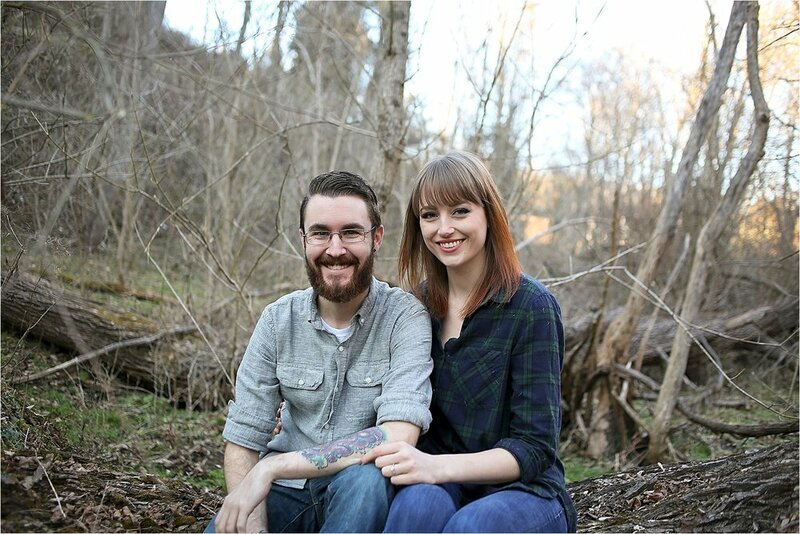 After graduation, Eli moved to Nashville and Lauren headed up to Chicago to attend graduate school. 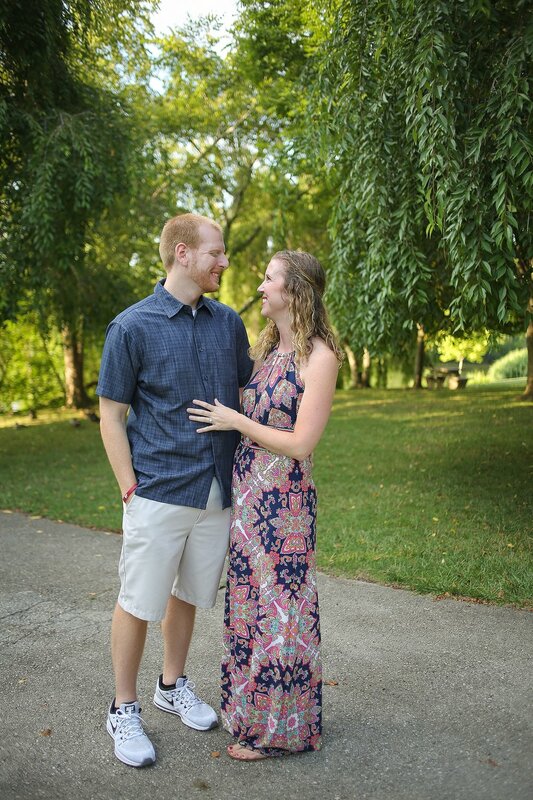 They reconnected and made a long-distance relationship before Lauren decided to move to Tennessee and live together. He flew up to Chicago to drive Lauren and her two screaming cats back to Nashville. Four years later, they went to Chicago for a music festival. Eli insisted that they stop at Millennium Park for photos. 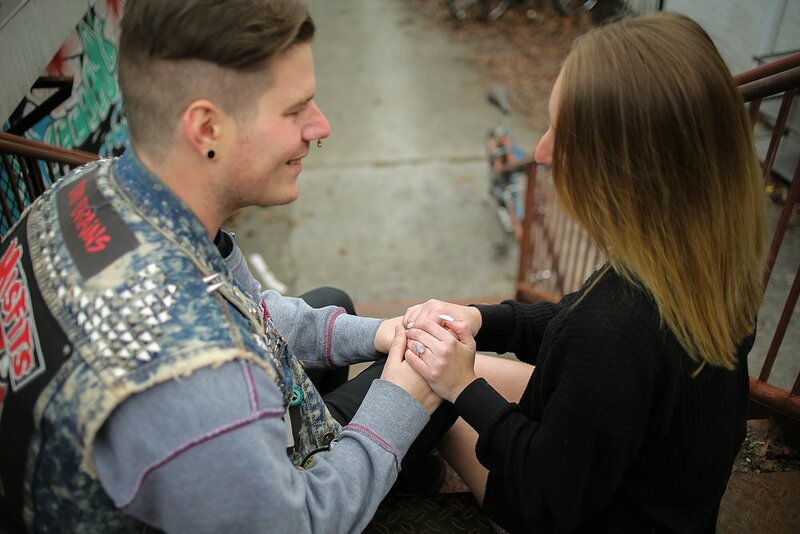 He proposed to her there at the exact same spot she took him to show him the city and explain why it is so special four years earlier. 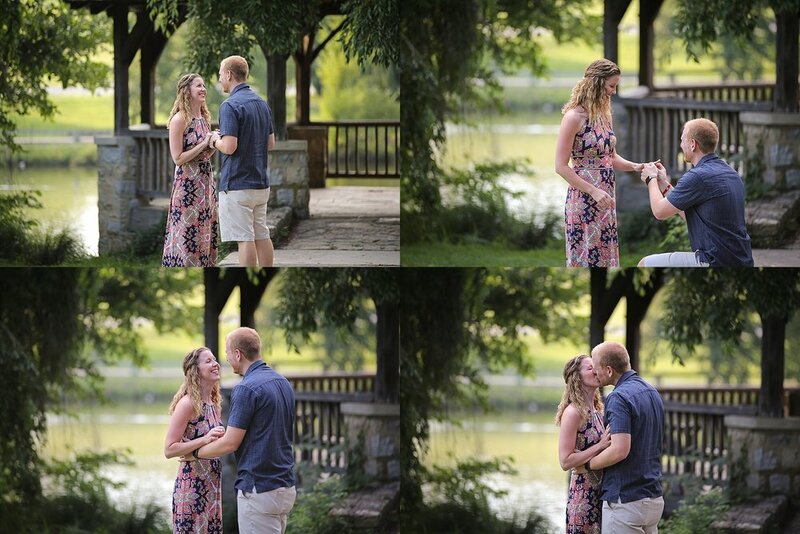 He had made a note on his phone that night saying it would be “the” spot for a proposal one day. 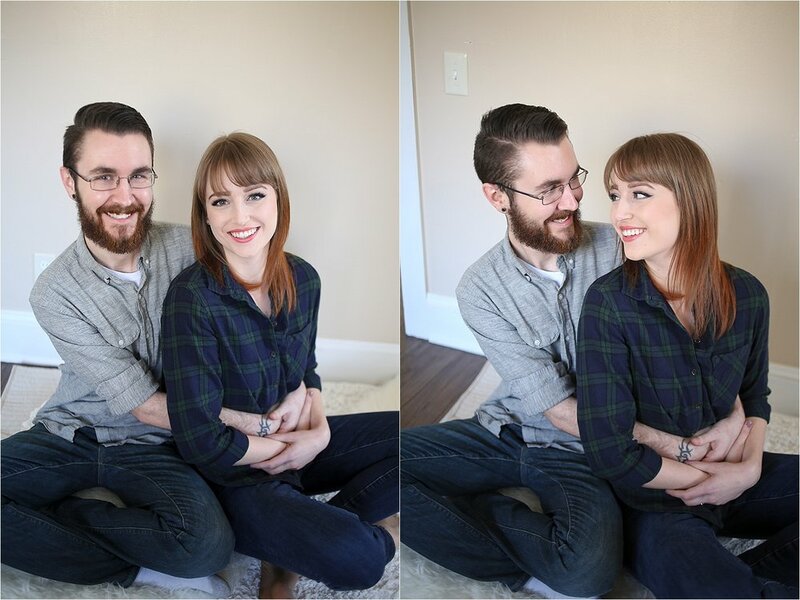 I’m so happy that they made time for an engagement shoot with me while they were visiting Virginia for the holidays. 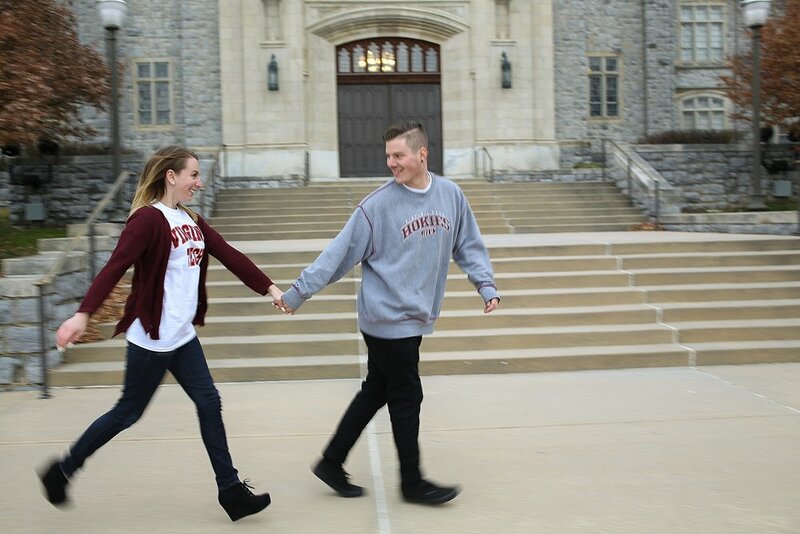 We met up at Virginia Tech campus which we had almost completely to ourselves and wandered around in the cold and empty alleyways of Blacksburg dodging the occasional drizzle. 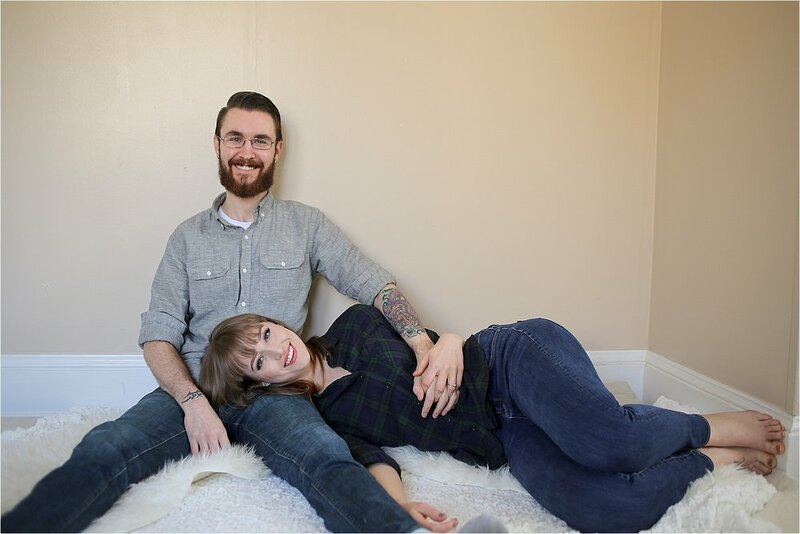 Finally, they indulged my weird desire to take engagement photos in a parking garage in front of car headlights. 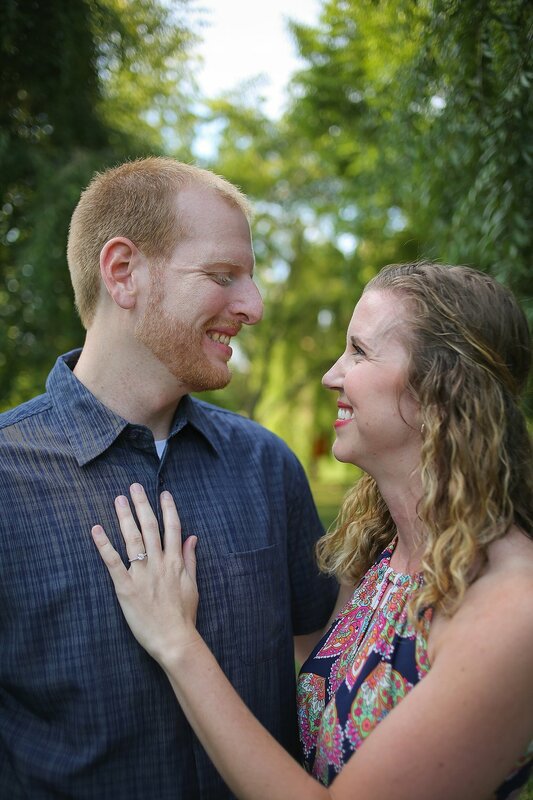 They will be getting married on their 5 year anniversary in New Orleans and returning to Blacksburg for a reception at Bottom of the Stairs that I am super excited to be attending! 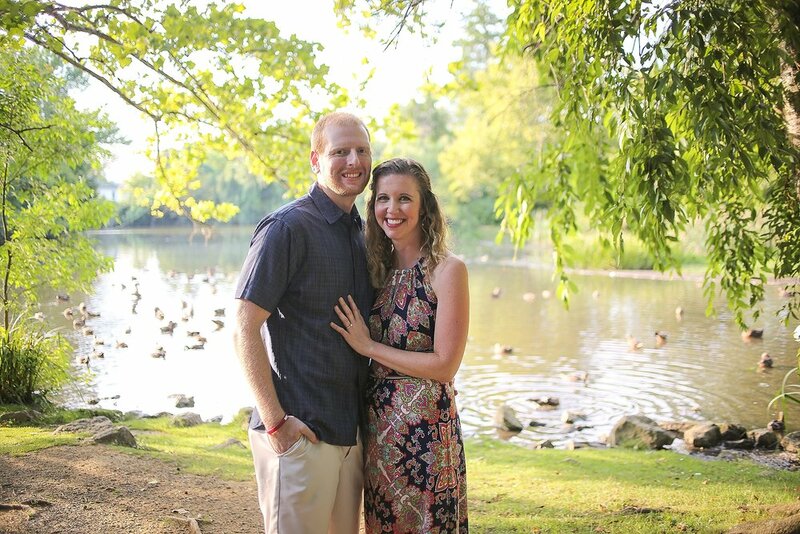 Matt put a lot of thought and planning into his super sweet Virginia Tech Duck Pond proposal to his girlfriend Amy! He contacted me a few weeks ago so we could get all the details nailed down. This was extra exciting for me because Amy works in the same college as me at Virginia Tech and is a student in my department and it was by complete coincidence that Matt contacted me, what a small world. 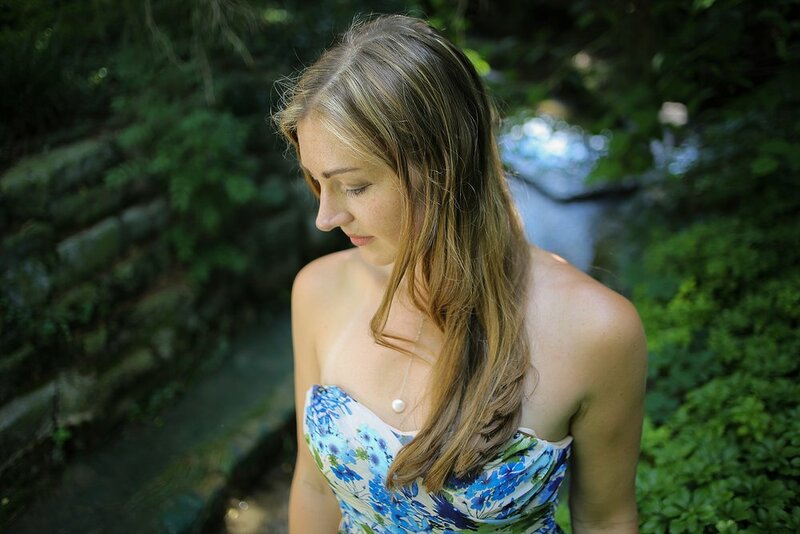 When the big day rolled around, I put on my disguise [hoping Amy wouldn't recognize me] and sat under a tree at the Duck Pond pretending to read a book until they arrived. 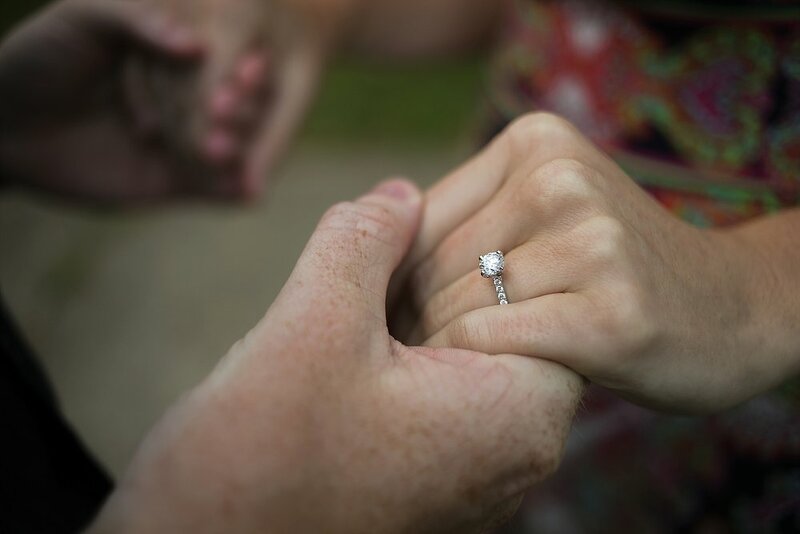 Needless to say after seeing all these happy couple photos, she said yes! 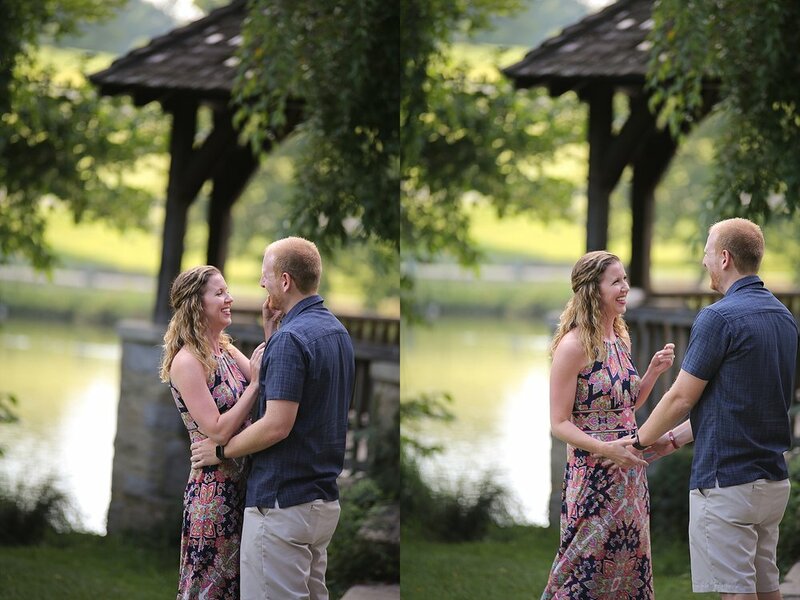 Congratulations Matt and Amy, I am so glad I was able to be a part of your surprise proposal. 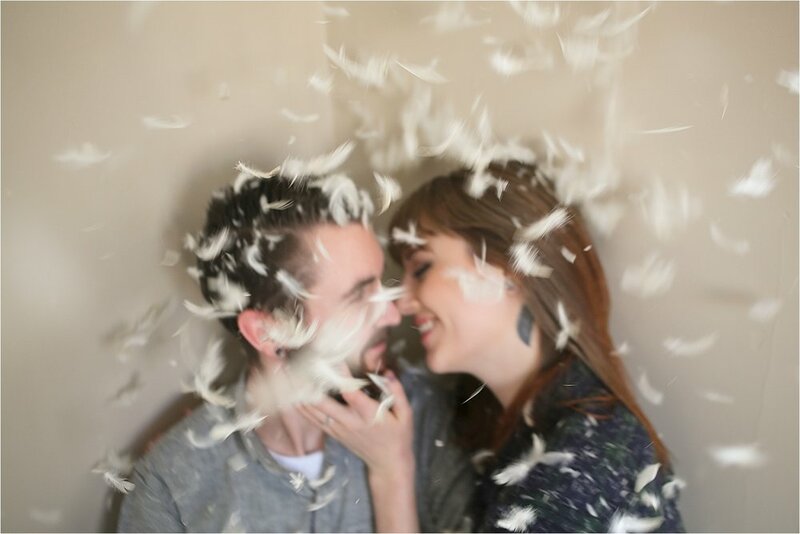 When you volunteer to pummel each other with feathers in a Pillow Fight Engagement Styled Shoot with me, I am more than happy to take some engagement photos that are more normal as well to thank you. 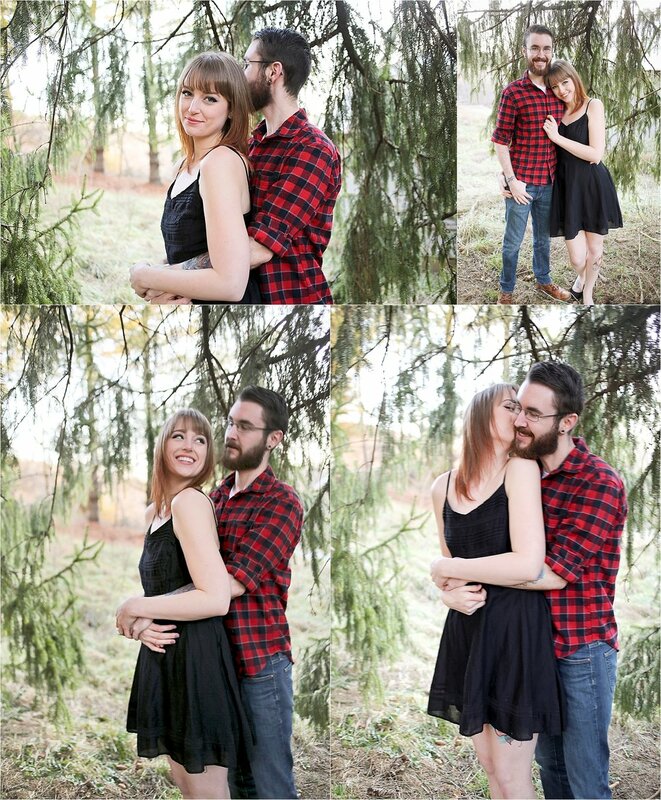 I loved working with Rebecca and Colin, they are a gorgeous couple and were so much fun to work with! Pretty sure I made some friends for life here. 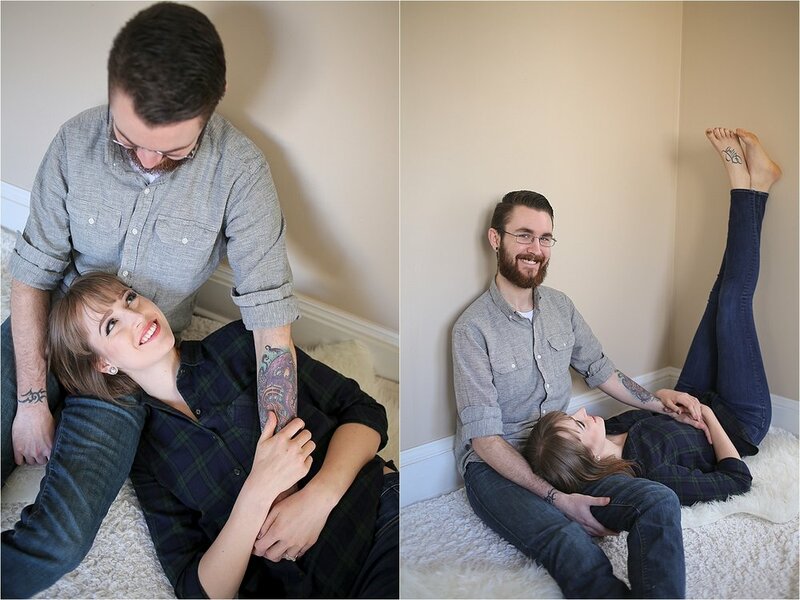 I am kind of super embarrassed at how long it has taken me to share portraits I have made over the past year and half or so. 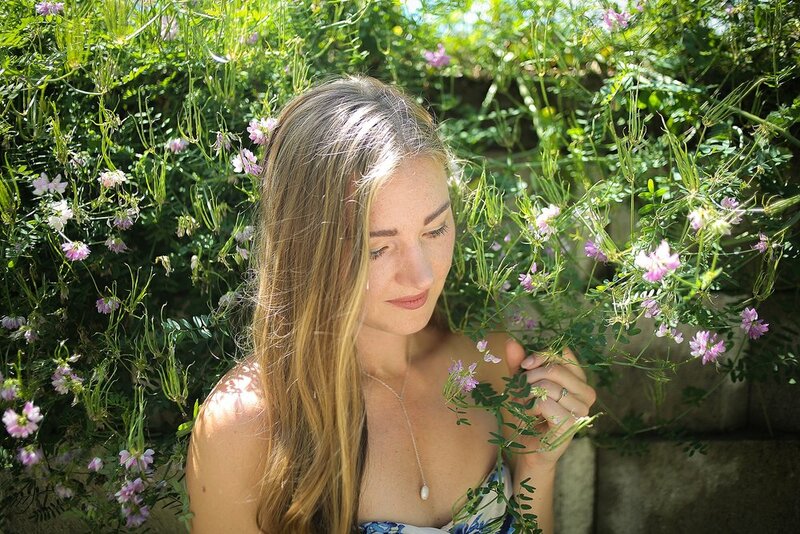 I especially love this shoot. 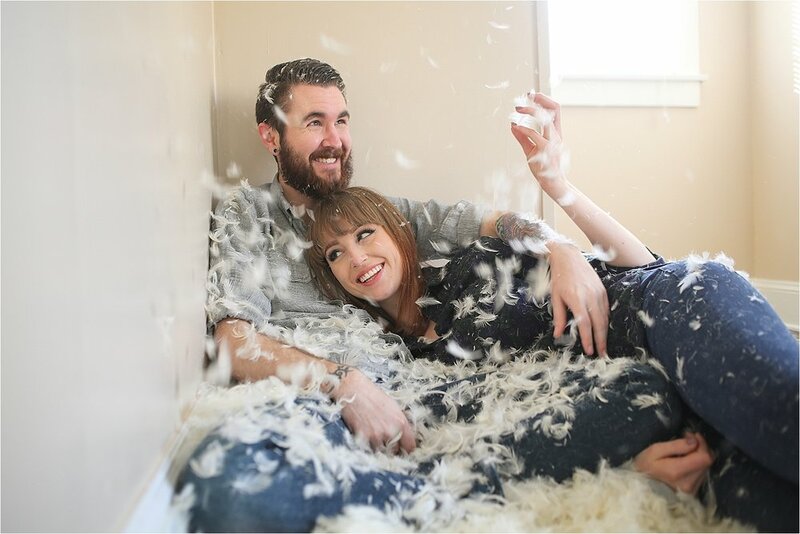 For some reason I got really obsessed with the idea of making a huge mess with feather pillows and Rebecca and Colin were wonderful enough to help me make that a reality. 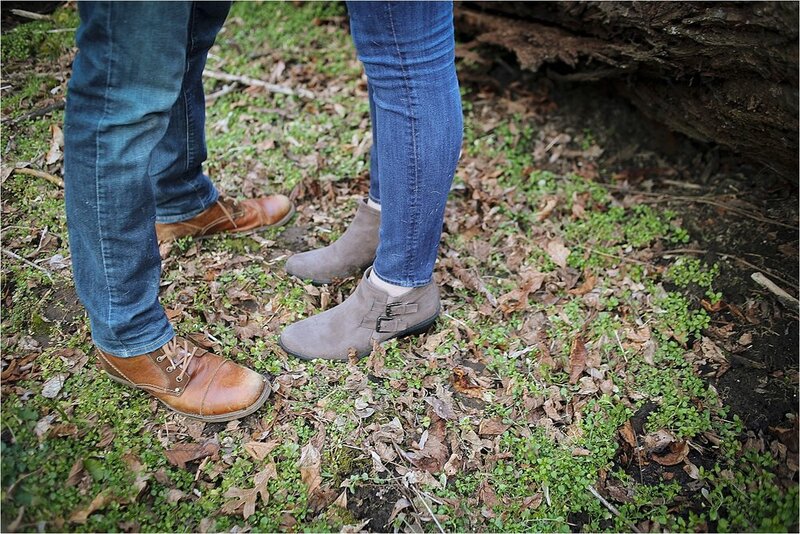 I couldn’t have asked for a better couple to work with on this shoot, you have to be pretty chill to be willing to pick feathers out of everything you own for the next 2 years for a photo shoot. Seriously, we didn’t even take these photos at my house and I am still finding remnants of these feathers in every nook and cranny. RIP ruched blanket from Ikea that I could never de-feather. 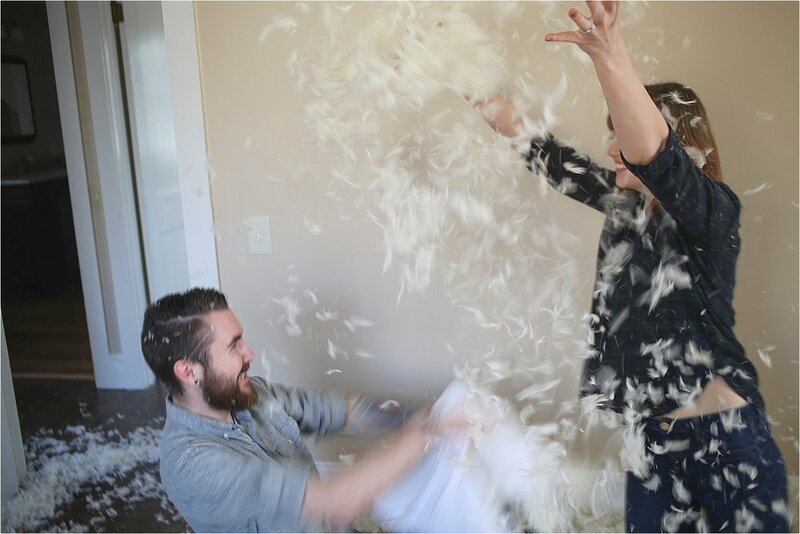 Pillow fights, making messes, and laughing my buns off while making art… I live for this stuff. Hit me up if you have an idea and want to get weird, no judgies I swear.